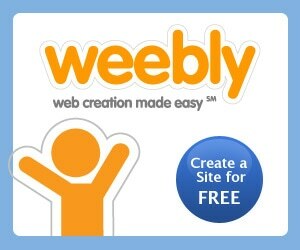 Weebly is a free tool for producing and publishing websites. It provides the ability to create a home page for a class or a subject, as well as it gives the opportunity to let learners create their own home pages and letting them edit these together. Weebly is best suited for use within a monological or a polyphonic form of teaching. In the monologic form of teaching, Weebly can be used by the teacher to inform learners about professional issues or to distribute practical messages. A website created with Weebly can be used as the teacher's knowledge- and information platform, from which knowledge and information is communicated to the learners. For example, articles, and videos, soundclips and documents can be posted on the page, as well as registering for events and excursions can be managed here. There can also work together cooperatively on the maintenance of a Web site; a group of learners can have responsibility for maintaining the various subpages. In the polyphonic form of teaching Weebly can be used as a team's or a group's common knowledge- and information platform – so as a common wiki. By assigning the learners rights to edit the page, one will achieve that they collaborate on writing content for the website.. One can also let the learners work together on creating subpages on various topics, and one can create a blog, where the learners can write their thoughts on certain matters, and comment on each other's thoughts. If you need help getting started using Weebly in education and to exploit the features of the tool, can you read this introduction: Getting started with Weebly in Education.